Reintroduced in 2007 through the Milgauss 116400, the new model features a 40mm case size and updated calibre 3131 movement. Originally designed with those who work in research labs and power plants in mind, the Rolex Milgauss can withstand magnetic fields of up to 1,000 gauss; approximately ten times the level of resistance offered by the average watch. Moreover, the watch includes an iconic 'lightning bolt' second hand adding further to its unique appearance. Rolex Milgauss is a highly valued, popular, and durable timepiece, which is bound to draw envious glances from those around you. 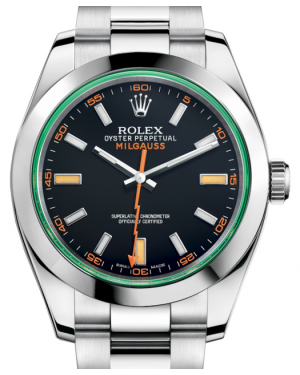 Released in 1956, the Rolex Milgauss was designed to meet the needs of professionals working in settings related to science, research, medicine and engineering. In particular, the timepiece was defined by its ability to withstand electromagnetic fields, which could greatly disrupt other mechanical watch movements. Although it is affectionately known as 'the scientist's watch', the Milgauss has also enjoyed popularity with luxury Swiss watch collectors in general, thanks to its classic aesthetic, unique features and relatively low production numbers. Here, we take a more detailed look at the history of the collection. 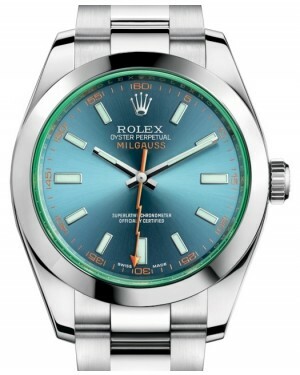 The first ever Rolex Milgauss model, Reference 6451, attracted attention after it was tested by staff at CERN, the European Organization for Nuclear Research. During these tests, it was found that the watch and its movement were able to resist magnetic fields of up to 1,000 Gauss - hence the name 'Milgauss'. Aesthetically, the Reference 6451 had much in common with the Rolex Submariner, including its over-sized case, patented Twinlock crown, numbered bezel, and riveted Oyster bracelet. However, one feature that helped to distinguish it from other models in the Rolex catalogue was the presence of a lightning bold-shaped seconds hand. 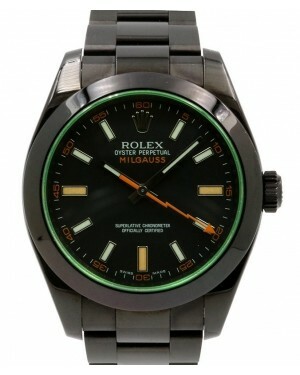 The second Milgauss model, Reference 1019, was released during the 1960s and this model made some notable changes. For instance, it featured a smooth finished bezel, as opposed to the Submariner style of the previous model, while the hands were also altered. Users also now had an option of either a silver or a black dial. Many of the Reference 1019 models, especially those created during the 1970s, no longer featured the distinctive lightning bold seconds hand, instead replacing it with a straight seconds hand with a red arrow head. 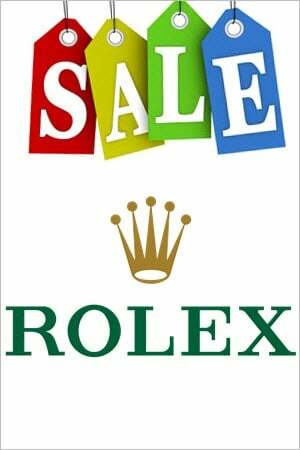 In 1988, however, Rolex made the decision to discontinue the collection entirely. After almost 20 years, during which the value of old Milgauss models increased dramatically, Rolex made the decision to relaunch the collection by unveiling the Milgauss 116400 in 2007. The new watches are made from 904L stainless steel, making them more resistant to scratches than first generation timepieces. In a tribute to the original Milgauss, the new series once again re-introduced the classic lightning bolt seconds hand associated with the first ever model, and this is now orange coloured, helping it to stand out even more. Meanwhile, the Chromalight dial gives off a continuous glow, which enhances legibility for up to eight hours. Internally, the timepieces are powered by an updated calibre 3131 movement and all of the new generation models offer water resistance for 100 metres. Black, white and blue dial colours are available, while black and blue dials are also available on an anniversary edition, Reference 116400GV, which has a Glace Verte sapphire crystal.